It is doubtful under the state open meetings law that the public can be excluded from the meeting, but the County does not have the meeting on its web calendar, and relatively few people will know of it. Chris Greer Drone Photo Of Farmland East Of Bishop (2/18/2017). The Old Farmington Road Bridge Over Greenbriar Creek Is Center, Left. The improvements to U.S. 441 under consideration including widening of the roadway from the southern end of the Watkinsville bypass to the bypass of Madison. The roadway almost certainly also will include a bypass of Bishop. Alignment alternatives for the roadway will made public later this year, according to a newsletter that GDOT Project Manager Anderson sent out on Thursday to those who attended a meeting held in the county on Oct. 25. GDOT is in the process of developing those alternate alignments at present, according to the newsletter. In preparing roadway design concepts, according to the newsletter, “the design teams consider public input, GDOT design guidelines, the roadway context and setting, costs, and environmental survey results regarding features such as historic properties, cemeteries, water resources, protected species, and community resources. “The teams also consider traffic volumes and crash data to determine areas along the corridor where safety improvements may be necessary,” according to the newsletter. GDOT sent the invitation letter for Tuesday’s meeting to the eight persons the Oconee County Board of Commissioners had appointed to a Sounding Board and to two additional CAC members. Those two added members are Del Finco, who owns farmland on the east side of Bishop, and Merry Howard, director of the Oconee County Senior Center. The original eight Sounding Board members are: Abe Abouhamdan, Bill Douglas, Tammy Gilland, Bobby Griggs, Walter Lee, Buddy Murrow, Johnny Pritchett, and Jerry Thomas. At a June 14 meeting of GDOT and its consultants, Claudia Bilotto from GDOT contractor Parsons Brinckerhoff discussed adding additional members to the Sounding Board to form the Citizen Advisory Committee that is normally assembled by GDOT as part of roadway projects. At that meeting, representatives of the citizen group Positively Oconee requested that Penny Mills be added to the CAC. Mills is former executive dean of the Oconee County campus of Gainesville State College, now the University of North Georgia. GDOT representatives seemed to accept the suggestion, but Mills was not on the invitation list used by Anderson in his March 3 emailing. Mills has told me she has been informed of the meeting and plans to attend. Go to the meeting. Don't get stuck with another Oconee connector/Mars Hill road fiasco! Let's see them try to keep Dr. Becker from video-recording this meeting. If so, them there's a problem. Again. Do we want a small group discussion? That is the question. Glad they added 2 more people, including an affected person and I am glad that Penny Mills will go. I hope other Positively Oconee members will also go. They should not be discussing this important topic out of the public eye. Is just widening the road through Bishop one of the possible alternatives? 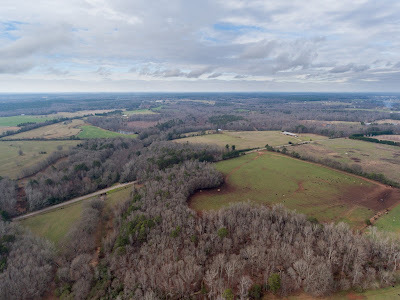 Realizing that some will be displaced and deeply opposed, certainly not more than were displaced and ruined by the Mars Hill Road / Oconee Connector project. The roadway is already there, why not use it rather than destroy more of our very precious and beautiful countryside? Land that is becoming so very scarce these days, endangered truly. Abe Abouhamdan has his booger diggers in everything. The developers and out of county speculators like to make sure there is a "our goal is to destroy your county by developing evry parcel of land, land planner" on every committee. The Board of Commissioners appointed Abouhamdan, who is chair of the county's Land Use and Transportation Planning Committee, to the Sounding Board. GDOT added to that group and is calling it the Citizen Advisory Committee. property owners who will be directly affected should be the only ones on the sounding board. Does abouhamdan own property or maybe a "silent" partner and stands to be enriched by the unnecessary altercation to 441 ?